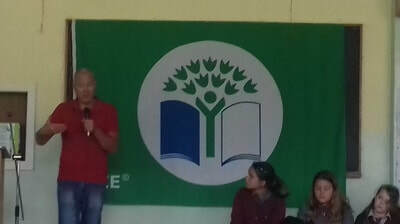 Our School has been involved in the Green Schools Programme since 2001. 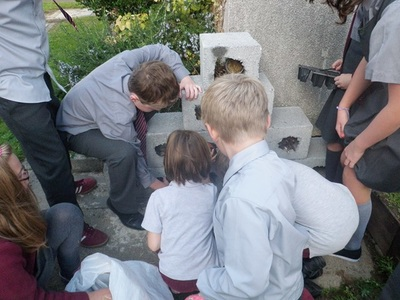 Mrs. Burke Walsh, a teacher in our school at the time, convinced us it was important to look after the environment. We have been working hard in this area since. 6. 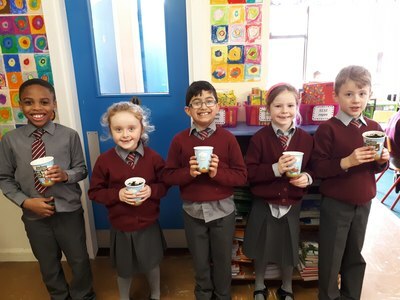 Global Citizenship Litter and Waste – Benefits of reducing waste on the wider community (2017 with Ms. Cleary as co-ordinator). 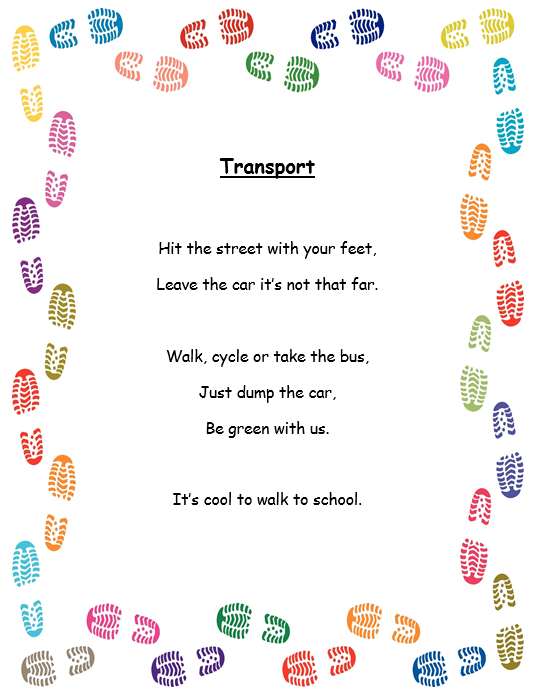 Have a look at the end of this page to see all of our Green Codes! We are working towards our 7th Green Flag! 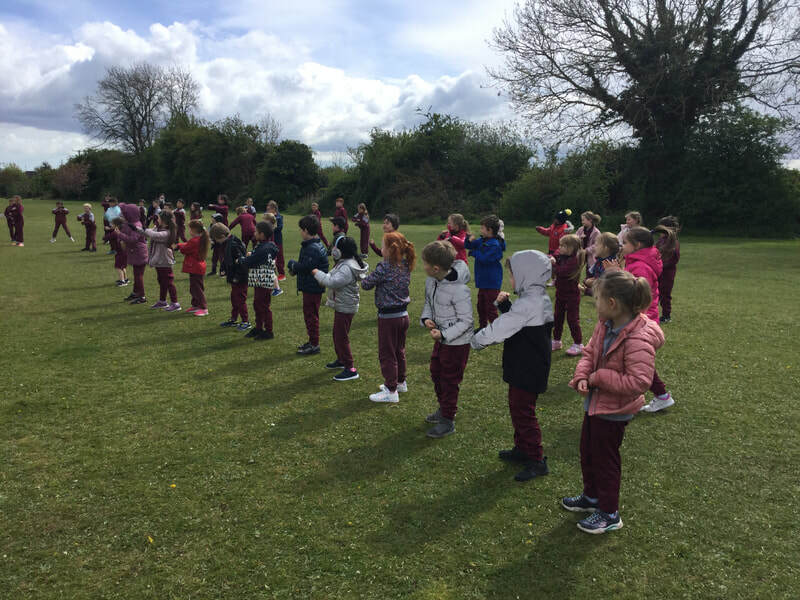 To mark the 10th anniversary of the WOW (Walk on Wednesday) initiative by Green School Ireland, we decided to organise a "Walking Bus" on Wednesday 16th May 2018. We had over 300 students, parents and teachers involved on the day. Click the link below to see the photos. 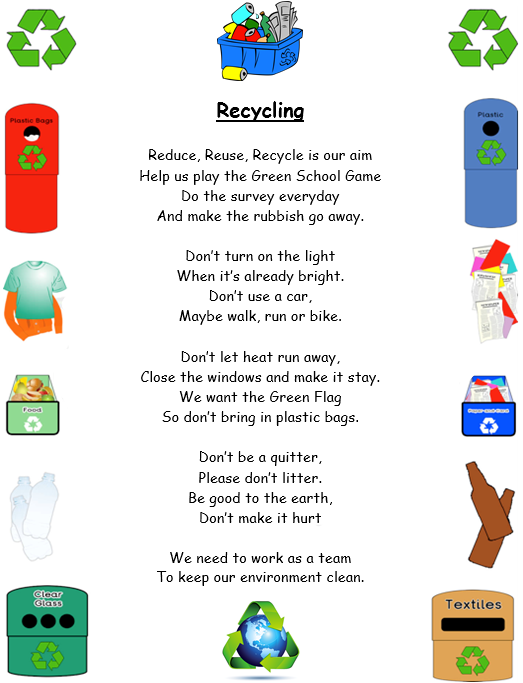 Last year we began a new initiative to reduce the waste in our school. It is called the Golden Bin Award. Pat, our Caretaker helps with the monitoring of the waste. Most classes are not using a general waste bin. Instead we have a recycling bin and a compost bin. 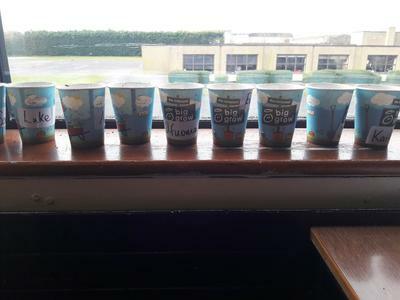 By using hand towels, lunch boxes (to avoid packaging) and drink bottles we have reduced our waste considerably. 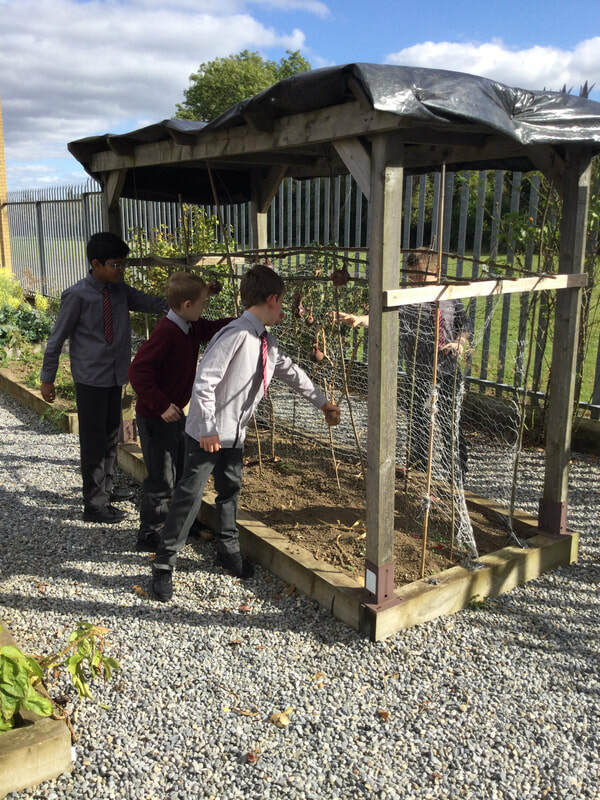 We endeavour to keep our school and grounds as tidy and litter-free as possible. 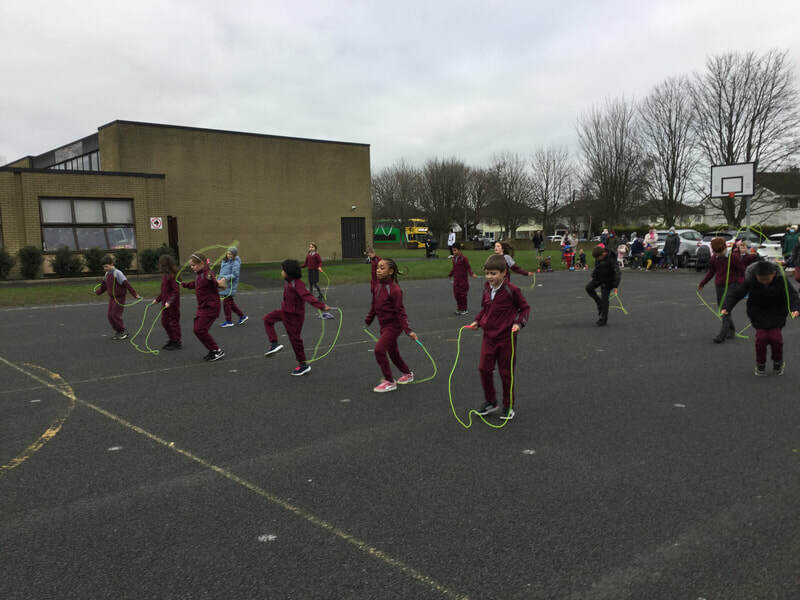 Our sixth class help by litter picking during lunchtime. This is overseen by the members of our very active Green Schools Committee. 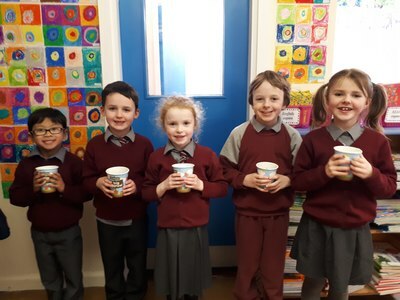 The class representatives look after composting in each classroom, keep classes up to date, maintain an eye on energy conservation in the school, and update the Green Schools noticeboards. ​We also take part in Walk On Wednesday. 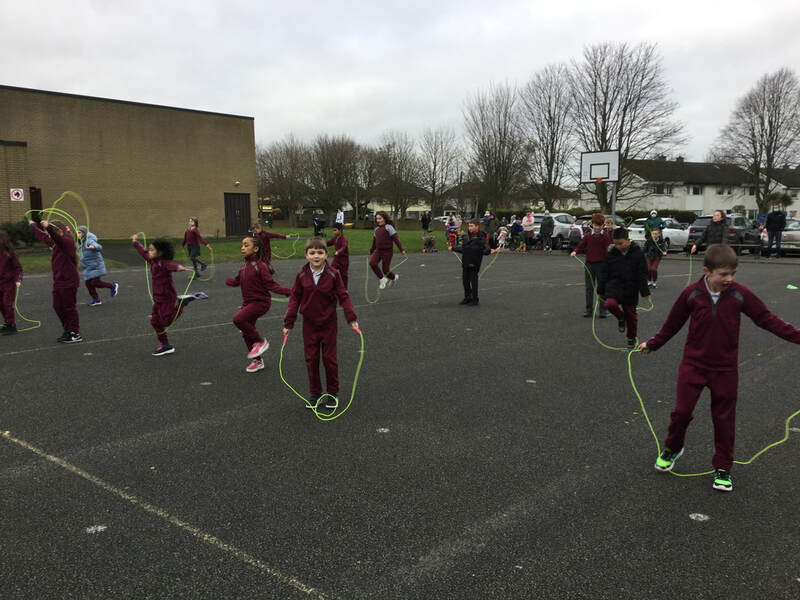 This is aimed at providing a safe route and car-free route to school for our pupils, and reduce the traffic in the environs of the school. 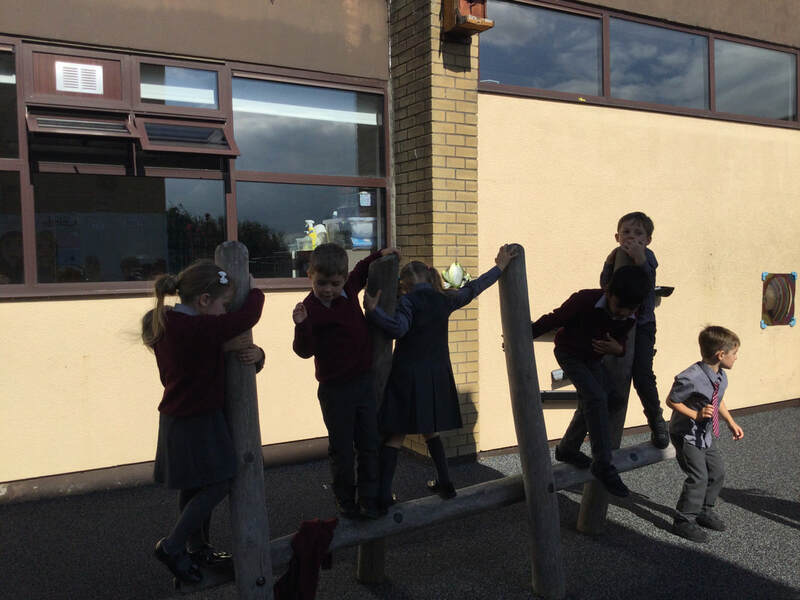 Every week our committee survey the classes, so we can see how well we are participating. If your child is cycling to school, please remind them to wear a helmet. 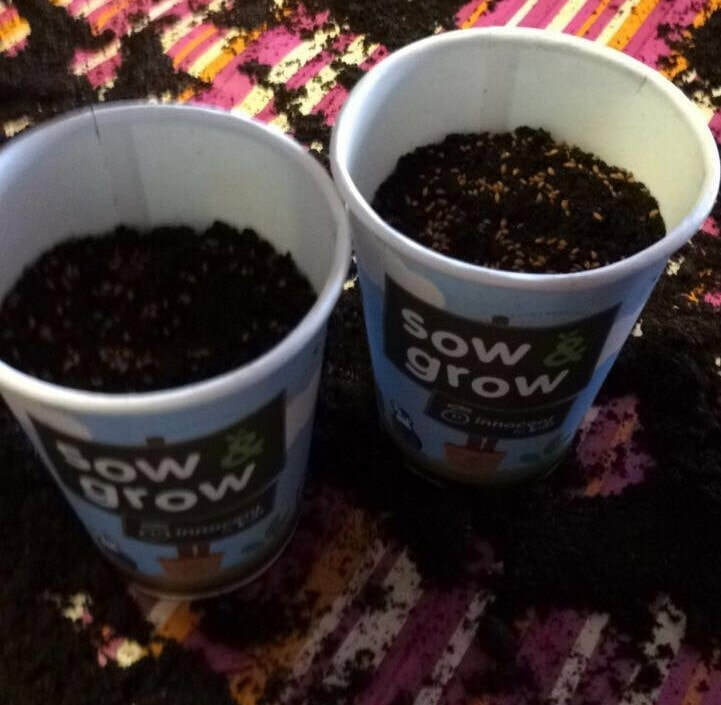 Scoil Mhuire took part in the Sow and Grow Project again this year. Junior Infants, 1st Class and 3rd Class were busy planting in their classrooms.They planted cress seeds, spinach seeds and pea seeds. On Thursday the 30th of November, the Green-Schools Committee went to the launch of the "Solar for Schools Project". The Minister for Communications, Climate Action and Environment, Denis Naughten TD, unveiled the innovative Solar PV-and-Battery powered technology project that enables five schools in Leixlip, Co. Kildare, to generate and store their own energy supply directly from the sun. 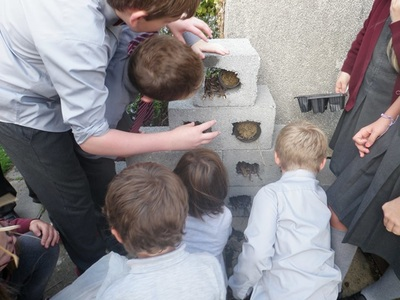 Scoil Mhuire is delighted to be apart of this project. 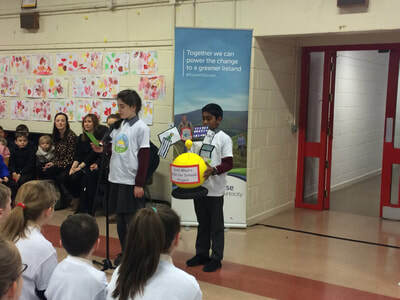 As part of the launch, our Green-Schools Committee had to create a symbol to represent Solar Energy. Our symbol was a large sun with a number of appliances that use electricity. Intel representatives visited our school at the beginning of the year to tell us all about the Solar Panels. We are looking forward to saving energy this year, as part of our next Green Flag for Global Citizenship Energy. Take a look at our photos below. 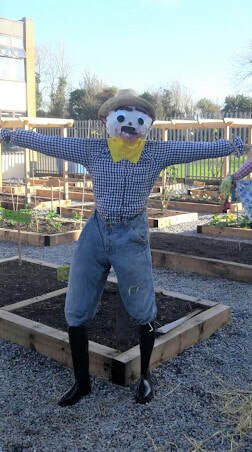 The two 3rd classes had great fun making scarecrows for our school garden! 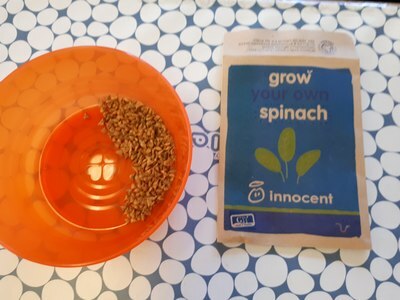 They used straw and old clothes. Thanks to Pat for all of the help! We decided to call the Scarecrows Betty and Billy. 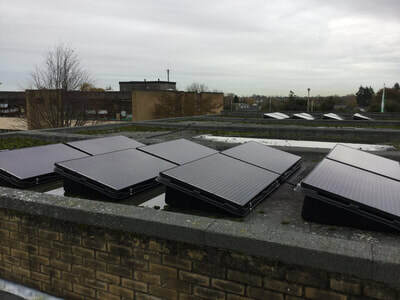 Have a look at the solar panels that were installed in our school and Scoil Bhríde over the summer. We are now apart of INTEL's Solar for Schools Project. We are delighted that this links in with our current theme - Global Citizenship Energy. We are working towards our 6th Green Flag! We've done it again! 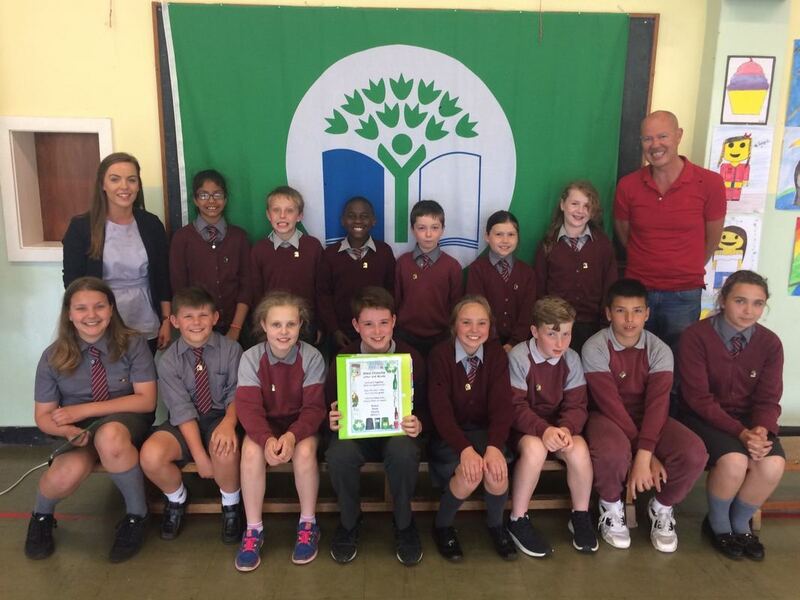 Scoil Mhuire has achieved its 6th Green Flag for Global Citizenship Litter and Waste. 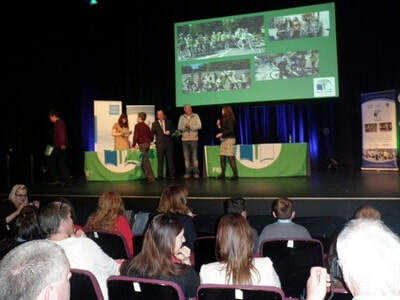 On Tuesday the 23rd of May we travelled to The Helix, DCU campus to attend the awards ceremony and receive the flag. 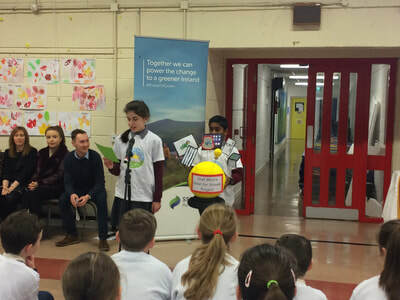 Well done to the Green-Schools Committee and all of the boys and girls in Scoil Mhuire for your great work on this theme. We held our own flag unveiling ceremony in the school hall. 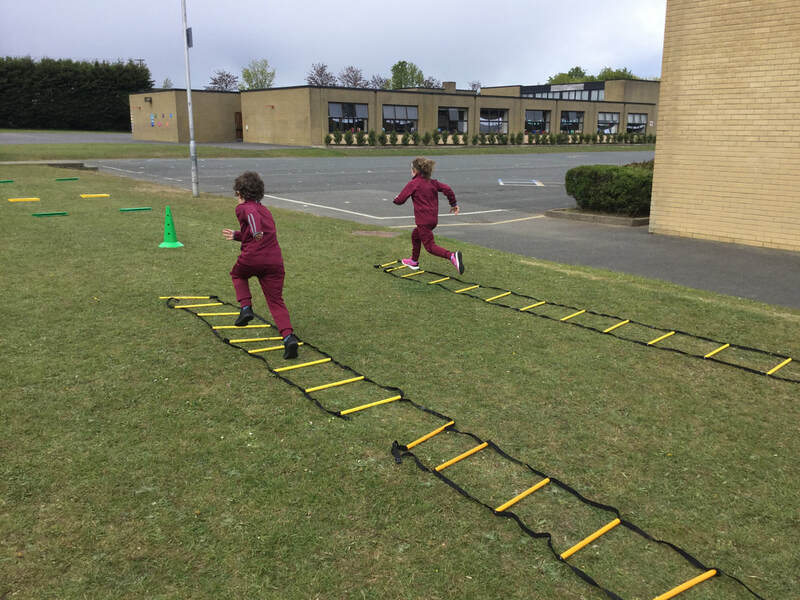 This was attended by all the children and staff, members of the PTA and BOM. 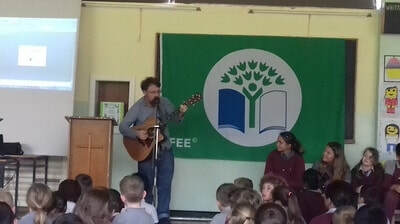 Our special guests were Dara Wyer, Environmental Awareness Officer with Kildare County Council and Songwriter Enda Reilly. 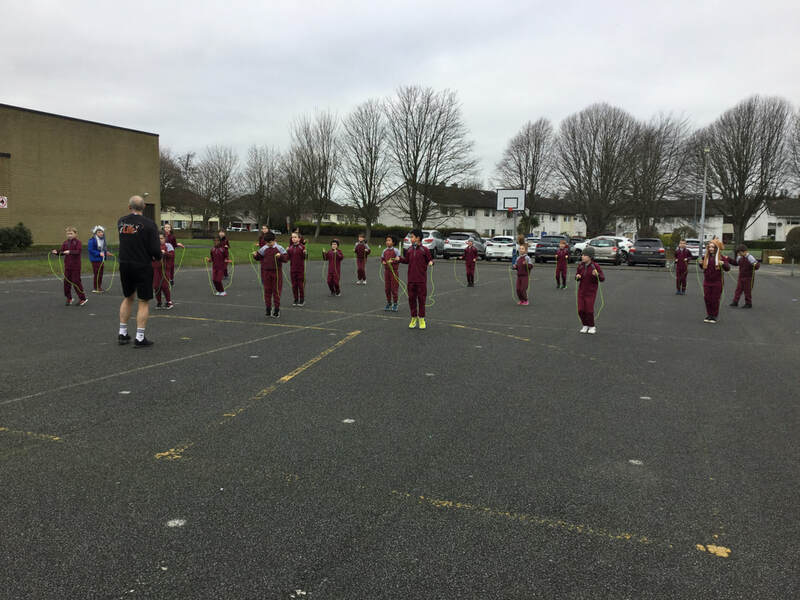 Enda Reilly had a workshop with the boys and girls in 3rd and 5th classes. He taught them songs about Climate change and the environment. He then sang at our ceremony. We would like to say a huge thank you to all of our guests for celebrating with us! You can see more of our photos in the Archive under the Activities and Events tab. 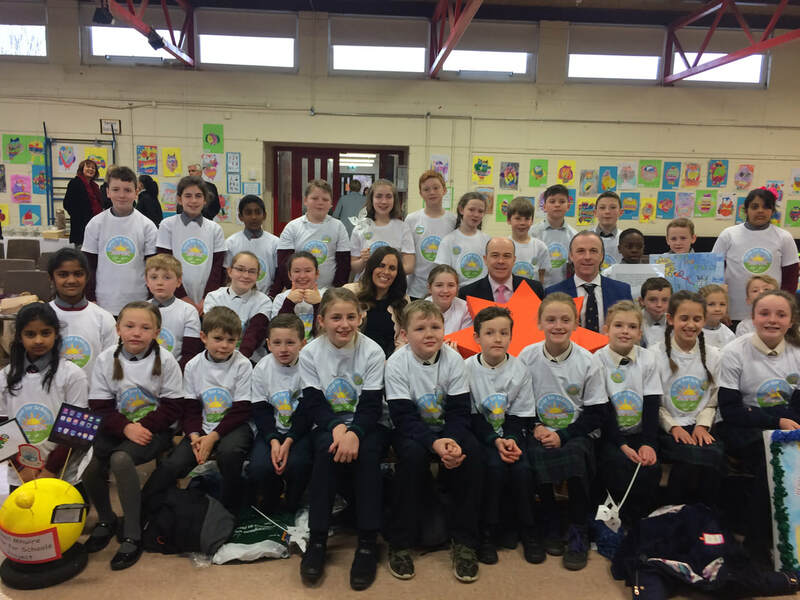 Thank you to Mr. Lynch's 1st Class who helped the Green-Schools Committee create this wonderful awareness poster. We are working towards our 6th Green Flag. 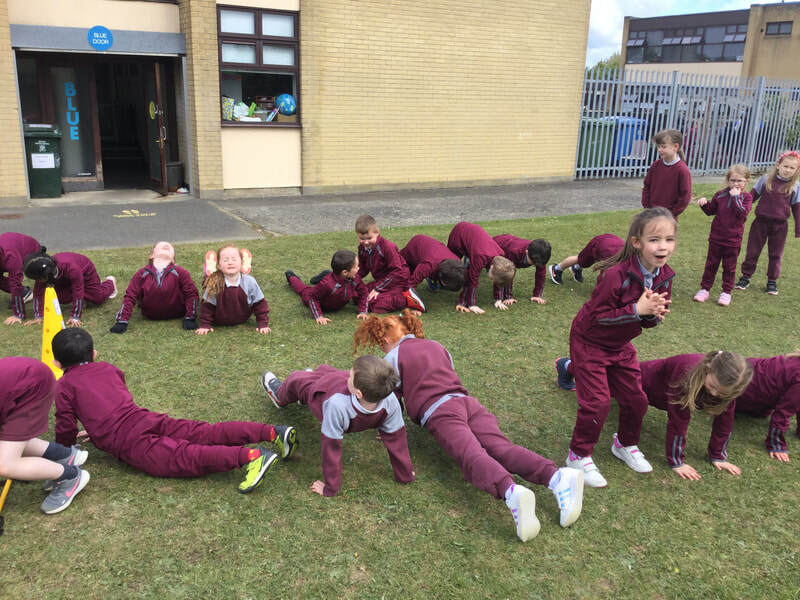 We had a competition for our new green code. 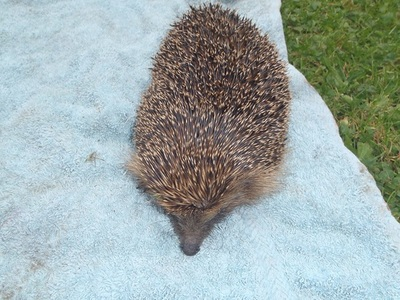 It was very difficult to pick just one winner so we decided to join two entries together. Well done to everyone who entered. 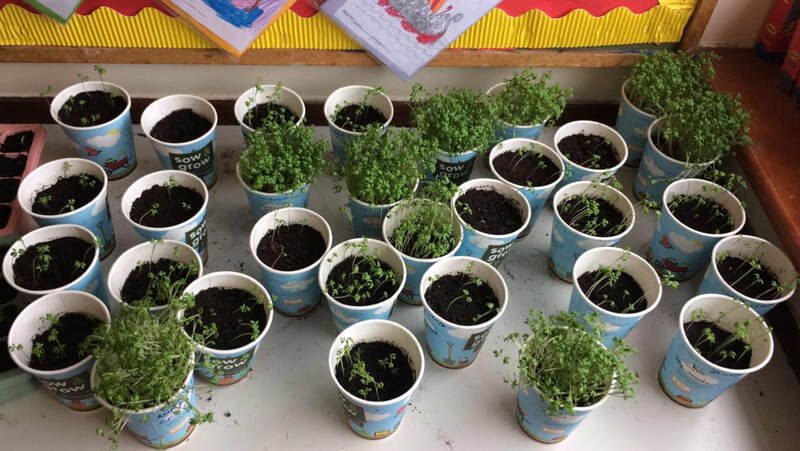 This is our new initiative that we set up this year to reduce the amount of waste we are producing in our classroom bins. 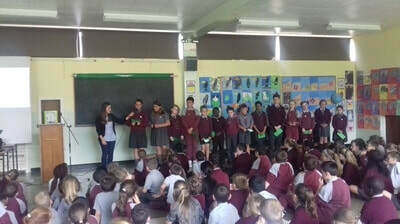 The classes with the least amount of rubbish in their bins win the award. 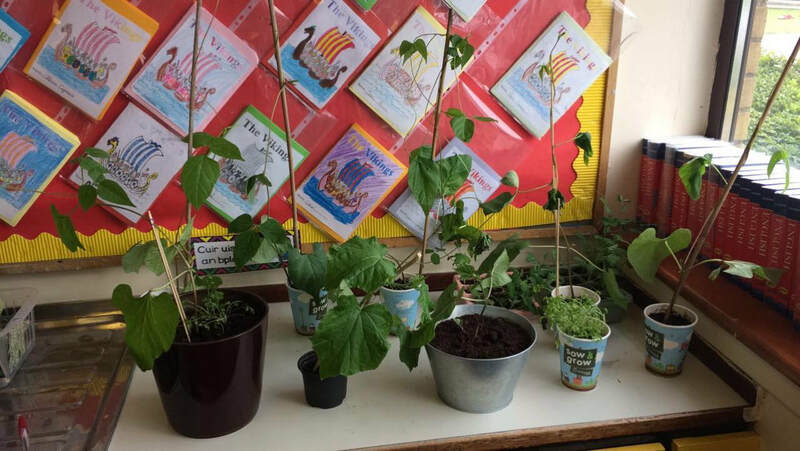 Our classes are very competitive and as a result of our competition most of our classes have stopped using their general waste bin. Every fortnight Pat announces the winners. As part of our theme this year, we had to research the different nationalities in our school. We have 33 different nationalities in our school. 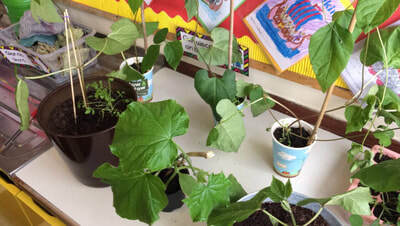 3rd Class took part in the Sow and Grow Project this year. 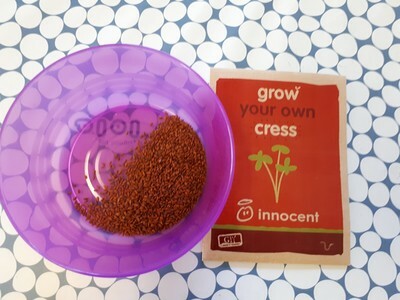 They had lots of fun planting baby carrot seeds, green bean seeds and cress seeds. 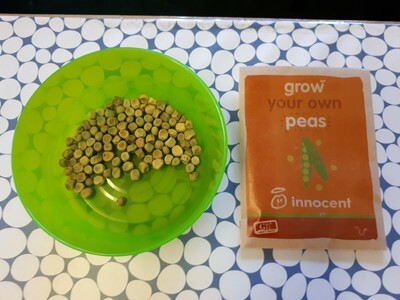 They watched the seeds grow and then they planted them in our school garden. 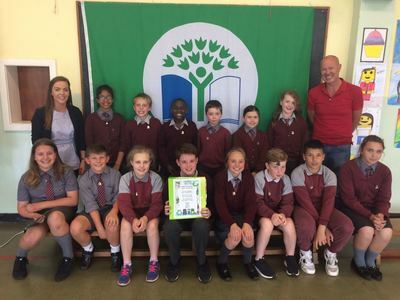 Scoil Mhuire is awarded its 5th Green Flag. We've done it again! 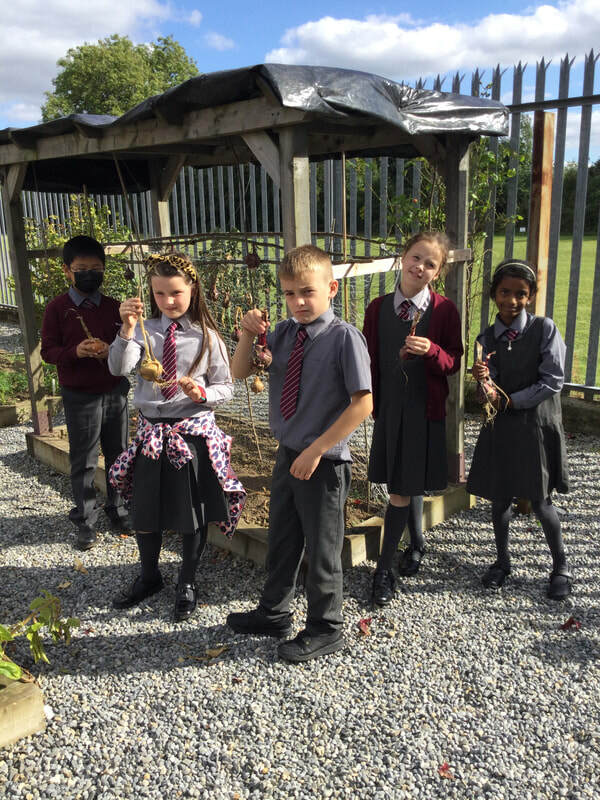 We have been awarded our 5th Green Flag for our work on the theme "Biodiversity". 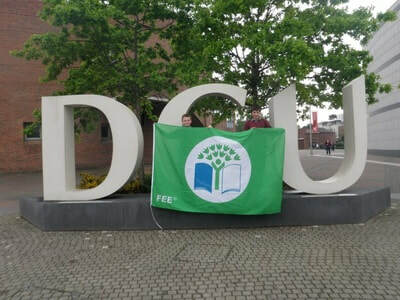 On Tuesday 20th May we travelled to The Helix, DCU campus to attend the awards ceremony and receive the flag. 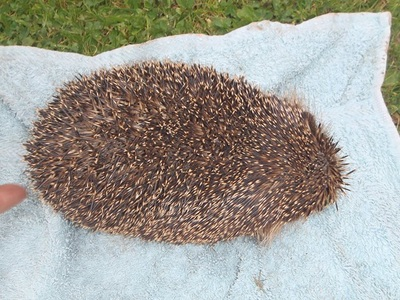 We had an unexpected visitor in the yard! The committee assembled an "INN-sect Hotel". 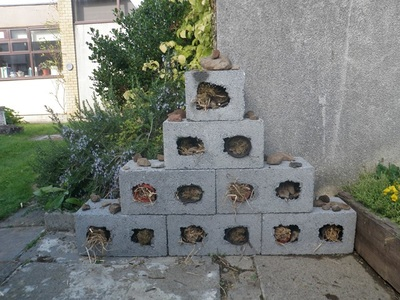 They used twigs, moss, leaves, old flower pots and stones to fill/line the holes in the blocks. Swallows built a nest in a shed which is conveniently located beside tie INN-sect Hotel! 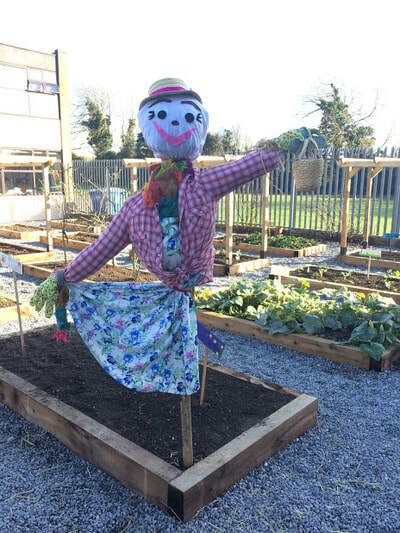 ​Here are some examples of nesting boxes, scarecrows and flowers made from recycled materials.